I was so pleased to see a genre film win Best Picture at the Oscars this year. Usually genre films are maligned as being just for profit, without any artistic merit, even though that’s not true. And that’s particularly true for the horror genre. In fact, I can’t think of any other horror film that’s even been nominated for any Oscar, let alone Best Picture, Best Director and the whole host of ’em The Hurt Locker got. Of course, it definitely deserved it as a film that both worked as a straightforward horror flick with enough meta-commentary to reward the more avid watcher. While the story — about a Foot Locker in the mall that’s actually a torture chamber — might not sound good on paper, Kathryn Bigelow‘s direction and Mark Boal’s script work wonders. That’s not to discount the brilliant casting. 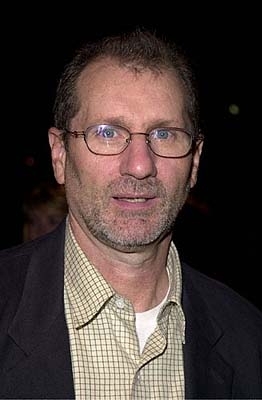 Not only is it wonderful to see the talented Ed O’Neill in a lead role again, it was a great joke to see him back, working in a shoe store. But, of course, O’Neill didn’t reprise his role as Al Bundy from Married With Children — he played the role perfectly straight. Some of the younger moviegoers might not have known the character of Al — but like the older crowd who smiled at the reference, both groups of audiences came away amazed at the depth O’Neill brought to the film. The cinematography by Barry Ackroyd is gorgeous. You’d never think that a chain store in a mall could look both beautiful and utterly terrifying. The lighting is perfect, too — when O’Neill goes in for the first kill of the film, the subtle shifting of the color palate gets your mind ready for horror without even noticing until it’s too late. You feel yourself getting tenser and tenser, but it’s only on re-watching the film analytically that you understand why. Regardless, you’ll never look at foot measuring devices the same way ever again. It’s so refreshing that The Hurt Locker got the acclaim it did. Even the best horror films are often ghettoized and thought of as mere seat-fillers to take advantage of undiscriminating film fans. Even a director like David Lynch, whose work isn’t even genre horror, though often creepy and frightening, doesn’t get the respect he deserves from the Academy; he’s only been nominated 4 times, never won, and most for his less horror-like films, like The Elephant Man, Blue Velvet and Mulholland Dr. — a straight drama, a crime piece-slash-coming of age story and a psychological puzzle respectively; nothing for, say, Eraserhead or Lost Highway. Hopefully the success, both commercial and critical, of The Hurt Locker will lead to more intelligent, well-made and well-received horror films as well as a new renaissance for Ed O’Neill’s career, which has already been gaining notice in the hit ABC comedy Modern Family. Here’s hoping he’s also signed up for the forthcoming Hurt Locker 2.